(Lindenwold, NJ) – A small portion of Kresson Road will remain closed in Cherry Hill for continuing construction today, Monday, Oct. 30 between Brace Road and Route 561. Crews from Diamond Materials are finishing a sewer connection project that was delayed due to yesterday’s storm system. 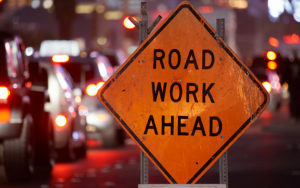 “Motorists driving through the area can expect delays from additional traffic, sudden stops and possible congestion while crews are at work,” said Freeholder Susan Shin Angulo, liaison to the Camden County Department of Public Works. “Until construction is completed, motorists should plan alternate routes that take them around the area. At this point construction crews will work around the clock until the work is completed, but should be finished today. Scheduling is subject to change due to weather or other unforeseen variables. For questions or to report a problem, contact the Department of Public works by calling (856)-566-2980.